Cadre Paris is a company located in Paris, directed by Nicolas Guillot, Architect since 1989, member of the Group Architecteurs. Design your CUSTOMIZED business project as a layout around your ambitions, your objectives. Change your life for a turn-key realization, and are committed to you on prices and deadlines, controlling the process as a whole for an optimum final quality. Take care of your furniture, your move in, maintenance, facilities management, and any other service related to your real estate project. The construction is done by the contractors that are the most adapted to the project and the situation. The best craftsmen have been carefully selected for over twenty years and are regularly re-competed to ensure their competitiveness. A strict quality control is carried out someone dedicated in our team. It ensures that companies comply scrupulously with the schedule established at the beginning of the project. Administrative and financial follow-up is carried out throughout the operation. The whole team knows the inventiveness and quality expectations of Cadre Paris. It constantly adapts to new requirements. 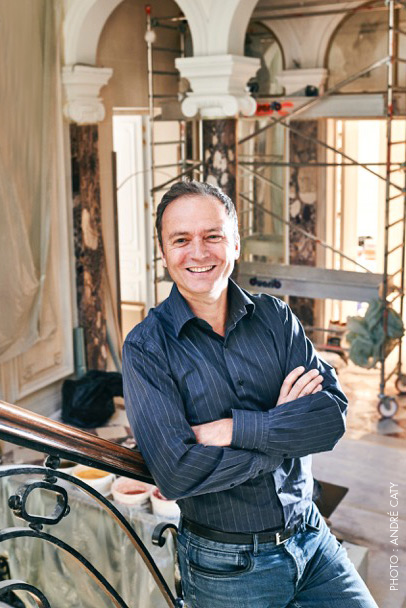 Nicolas Guillot has over twenty years of experience in luxury Architecture. His background includes 4 years in New York where he worked on ultra-luxurious projects with Peter Marino. He opened his studio, Guillot Architectes, in Paris in 1994 and has today worldwide partners to develop his projects. – Luxury Hotels and Wellness justifys in France, Europe, the Middle-East and Asia. – Chateaux and other private residences for a collection of presidents of the fashion industry. Today, Nicolas is one of the world experts in the Haute-Couture of Architecture. 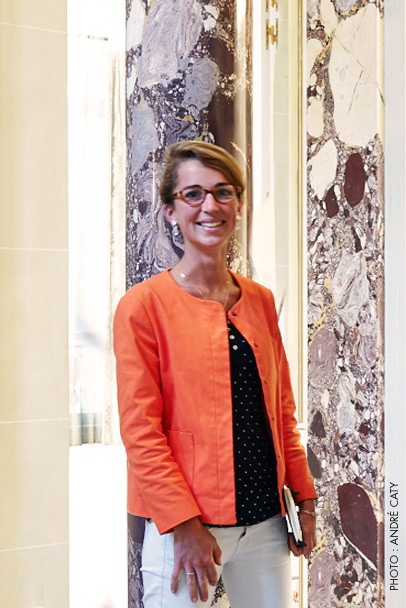 Anne-Cerise Honoré has worked for Cadre Paris since 2013. Trained at the School of Architecture of the City and the Territories of Marne-la-Vallée, in double master curriculum architect / engineer, she acquires the technical knowledge and rigor required in the design and management of all projects. Her experience includes stores and hotels, high-end and luxury, from design to turn-key construction. With the will to strengthen and develop the company and its assets, she pursues a Master’s degree in Business Management in Paris-Dauphine and, alongside her architectural vocation, ensures strategic thinking, a global vision of the company, its management and its development. © 2017 CADRE PARIS. All rights reserved.